In essence, in the Swiss MEM industry, it is common knowledge that the national trade fairs sector is once again undergoing change. On the one hand, those running genuine trade fairs, i.e. entirely technology and process-related events, rely on seamless process chain-expertise; while others put their trust in polytechnical trade fairs and cannot therefore entirely live up to their task as a “showcase for the industry”. In other words, there’s a lack of cross-sectoral synergies. PRODEX, the Swiss trade fair for machine tools, tools and production measurement technology, is also particularly in the spotlight because there is hardly another industrial sector where digitalisation matters more, as the key to productivity and future competitiveness. In turn, SWISSTECH, the international trade fair for materials, components and system assembly, highlights the services of the Swiss MEM/subcontracting industry in the foreground, these services being essentially based on the deployment of the most modern, and above all, interconnected machines, tools, measurement technology and handling systems. and material flow peripherals -on the part of PRODEX-, and integrated performances relating to cutting, shaping and finishing as well as unit and complete assembly -on the part of SWISSTECH-, the MEM industries present a united front with their state-of-the-art offering! Halls 1.0 and 1.1 and the event hall are divided up. PRODEX will occupy the tried and teste Halls 1.0 and 1.1, and with a view to ensuring an improved visitor flow for SWISSTECH, the organisers will focus on the event hall and Hall 1.1. In this way, visitors can directly access the exhibition area via the PRODEX entrance as well as the SWISSTECH entrance. Three months before the opening, Hall 1.0 is nearly fully booked. Organisational measures and trade visitor marketing are well under way. In addition, the PRODEX award, the most prestigious Swiss technology prize for outstanding achievements in manufacturing and production, will be presented on Wednesday evening and will be a trade fair and networking highlight. Finally and once again, many well-known manufacturers and suppliers are using PRODEX and SWISSTECH products to showcase their products and services for the first time, which is a measure of the widely recognised major importance of the two trade fairs as essential, modern marketing tools for the Swiss market and beyond. Last but not least, the trade fair management has responded to exhibitors’ requests for longer hours by opening the doors to the halls earlier, at 8.30 a.m.! Quality boost for communication resulting in networking excellence: with the joint “Smart Manufacturing Platform”, the brand new PRODEX to SWISSTECH (and of course vice versa) transition area will be created in Hall 1.1, constituting an innovative feature that serves as a meeting platform for specialists. Amongst other things, the various areas include a forum for continuing professional development, presentation spaces for industry associations, educational institutions and industry partners, a market place for innovation and start-ups and a networking corner with food and beverage stations. The organisers attach great importance to digitalisation for one thing, with a newly established visitor website, which is already displaying the current list of exhibitors. Each exhibitor has the opportunity to present themselves and their services using a digital stand. Another digital feature to be launched at the PRODEX/SWISSTECH trade fair will be the Memtec.plus meeting place on Tuesday evening, 14 May. This enables participating companies and individuals in future to keep up to date 365 days a year and to network with the MEM industry. Basel is and remains the most important meeting and market place for the MEM industry for Switzerland as an industrial centre. Free online tickets will be available in March, at www.prodex.ch and www.swisstech-messe.ch. 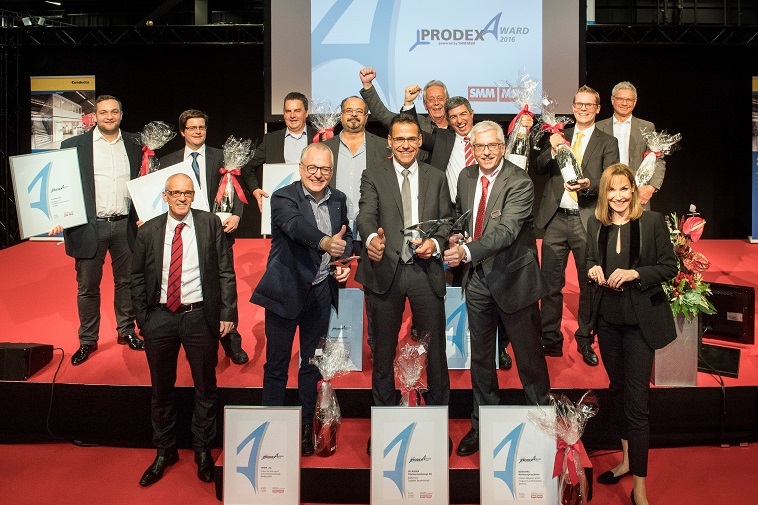 The PRODEX award is again a sought-after award this year! Registration is still open until 15th February.